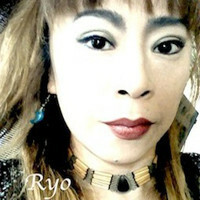 Ryo Utasato as an artist, a composer, singer, an arranger, and a songwriter being skillful at soundtrack, ambient, electronica music adopting a national instrument. I am a composer, singer/songwriter and multi instrumentalist. I also record, produce and master all my own material. My style is varied and crosses several genres - Electronica, Ambient, World Music, Rock and Epic Soundtrack. My original soundtracks have been used in scifi, historical, drama, horror and action films & TV - including the World Heritage theme.